Normal vision relies on healthy eyes, retinas, and their proper wiring of the brain structures that process visual information. Light which enters the eye is sensed by photoreceptors on the retina. The information is then transmitted via the optic nerve to the lateral geniculate nucleus and from there to the first stage of cortical visual processing, the primary visual cortex. Amblyopia refers to the loss or reduction of vision from one eye because it is improperly wired to the brain structures that process visual information. Even an eye with normal optics and retina may be weakly or incorrectly connected to the brain, resulting in substantial vision loss from that eye. What causes amblyopia? Frontal- eyed animals combine the images of the two eyes into a single image. The process also yields the percept of depth — estimates of the distance of objects from the observer. When then the two eyes receive very different scenes that cannot be fused into a single one, the brain opts to ignore information from one of the eyes. This can happen when the eyes are misaligned and pointing in different directions (strabismus), or when the one eye is much more nearsighted, farsighted, or astigmatic compared to the other. About 3% of children are affected by the condition and, unless it is treated during a period of high plasticity in the brain that may allow external factors to help the brain rewire, called the critical period, the loss of vision might be permanent as the adult visual system becomes hardwired. In other words, if we do not treat them amblyopic patients would be effectively blind from the input of the affected eye. It is important to correct amblyopia for the simple reason that we are born with only two eyes. Starting your life with only one good eye means your likelihood of going blind during your lifetime is much higher. Thanks to advances in medical research, we are living 25 years more than our grandparents; thus it makes sense to ensure our children start their lives with a pair of healthy eyes. Animal rights activists argue that because blindness is not a life-threatening disease using animals in this type of research is not justified. I concede blindness is not life threatening, but I ask you to participate in the following exercise — blindfold yourself for just one week and try to go about your daily activities — helping the kids to school, getting to and from work, shopping at the supermarket, doing the laundry, cooking, washing the dishes, assisting your children with homework, and so on. Please return to the comments section of this blog and share with us what you have learned about blindness and the suffering it can cause. This is the suffering the research is intended to prevent and alleviate. Some of these points were well expressed by a Cardiff University statement in response to the Mirror’s negative coverage of these experiments which included an on-line poll asking readers to participate. The Mirror article elicited the response of scientific blogger PZ Myers who tried once more to explain the true reasons for such experiments and asked scientists to make their voices heard in the poll. The Mirror, apparently disliking the trends in the results, responded with a re-poll. Aside from the obvious scientific invalidity of such internet polls, it is evident from the comments in the article that those who voted against such experiments fail to understand the impact of severe vision loss on quality of life and the methods of the research. While they appear ready to rule out the use of animals in sight-saving research, the same population appears to think differently when it comes to ruling animals out of their dinner plates. So let me explain again how animals are involved in these studies. To study the early wiring of the brain scientists have used frontal-eyed mammals that have an early visual cortex organized similarly to that of humans. Kittens have historically been used in many of these developmental experiments because they have frontal eyes and binocular vision, and their visual cortex expresses ocular dominance columns as other higher mammals and humans do. Such “columns” represent the amount of cortical territory that each eye takes during development which changes if one eye is weakened. Animal work has shown how different rearing conditions influence the balance the input of the eyes into the cortex, the timescales involved, and the effects of multiple reverse occlusion procedures on visual acuity. Mice also have a small area of binocular vision where the cortex receives inputs from the two eyes and exhibit similar plastic changes. The study of the molecular pathways and events that lead to the opening and closing of the critical period are now being studied almost entirely in mice. Finally, studying the normal wiring of the brain during development has potential benefits for many other areas of medicine. Amblyopia serves as a general model of a developmental disorder of brain wiring. Understanding the factors that control the opening and closing of the critical is key not only for vision but other diseases. Specifically, if we understood the molecular events that open and close the critical period we could potentially learn how to open such a window of plasticity in the adult. 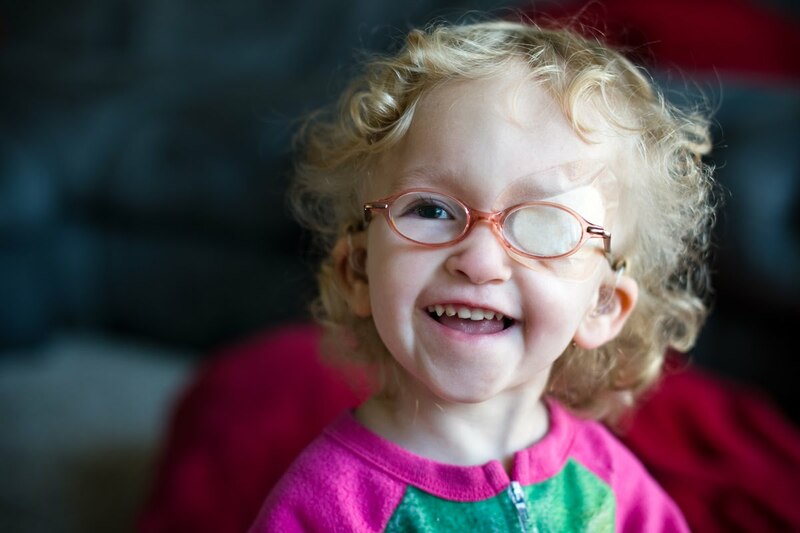 This would allow us not only to treat amblyopia in the adult, but also to enhance neural repair in many conditions that involve damage to neural tissue, such as in stroke. We do not currently have non-invasive methods that would allow us to study normal and abnormal brain wiring during development in humans. Animal models allow us to understand the molecular and cellular events that take place during development. The experiments involve artificial closure of one eye and recording form brain structures while animals are fully anesthetized. The anesthetic plane is monitored continuously by measuring the heart rate, electrocardiogram, end-tidal CO2, and core temperature. Such monitoring parallels and even exceeds what one may see in human surgeries. The animals are euthanized at the end of the procedure with an overdose of anesthetics — the same way your pet may be euthanized by your veterinarian. It is outrageous, ignorant or simply deceptive for Nick Palmer of the BUAV to claim on the BBC during a debate with Tom Holder on the justification for this experiments that “you wake up the animal” during the electrophysiological recording procedures. This is flat wrong. Animals are anesthetized for both the surgical procedures, and continuously during the recordings. They never regain consciousness as they are euthanized at the end of the experiment. We all benefit from the medical advances of the past. Animal research has undeniably contributed to such advances. Opting out of such research without a viable alternative would cause much human and animal suffering. Inaction needs a moral justification, one that our opponents have yet to spell out on moral and scientific grounds. Addendum: It’s worth remembering that the Mirror – a British tabloid that is characterised by all the usual vices associated with such publications – has a history of making false allegations against scientists. Back in the 1980’s its Sunday edition was obliged to print a Press Council ruling that an earlier report on amblyopia research performed by the neuroscientist Professor Colin Blakemore was “exaggerated, unbalanced and unfair”. It seems that the Mirror is still living up to its “gutter press” reputation. Posted on July 27, 2012 October 15, 2012 by darioringachPosted in Animal Rights News, NewsTagged amblyopia, animal research, BBC, BUAV, Cardiff University, kittens, lazy eye, Nick Palmer, PZ Myers, strabismus, Tom Holder. My sister is blind in one eye due to Amblyopia. When she was a child they tried using a patch which didn’t work and then operated which also unfortunatly didn’t work either. She is in her late twenties and is having problems with her good eye. Whilst I’m not happy about animal testing, I know it is vital. In this case it will help those like my sister with their sight. The animals concerned are treated well in fact much better than some people treat their pets. The only reason people have made such a fuss about this is because they are cute kittens. If an animal isn’t cute it isn’t important. If they had experimented on snakes people wouldn’t complain. How many of those people ranting about the cruel treatment of these kittens think nothing about killng wasps, flys and spiders? How many eat meat? Kill pests in their homes and gardens? And evan if they are vegetarian/vegan, how many realise how many animals are killed in the production of their food? The article offers a justification independently of the number of animals that PeTA kills (which is a true fact no matter whoever made the information public). It is doubtful that PeTA tries to treat those animals that suffer from illness or that all other animals are not adoptable. At the very least, those that PeTA deems not to be adoptable due to behavior but healthy could serve as subjects in research — instead of being killed for nothing by PeTA. In doing so, PeTA helps increase the total number of animals that are killed in the end. I cant believe that you seriously think it is OK to prolong the suffering of these animals by subjecting them to cruel and unnecessary experiments. I find this absolutely Unbelievable!!!!! It is compassionless unfeeling self serving fools who think that experimenting on animals is acceptable…. I can’t believe you seriously think that PeTA really tried to provide medical treatment to the animals in its possession or made any reasonable attempt to adopt them. The experiments are neither cruel nor unnecessary — unless you don’t care about human suffering. Only self-righteous, animal rights fanatics can think medical researchers are compassionless, self-serving individuals. Have you ever actually met anyone that works in a laboratory? I mean really sat down and talked with them about their job duties? Most of the people I know are very dedicated individuals who take their responsibility to care for the animals very seriously. Certainly more seriously than PeTA takes theirs. In most situations, it’s not the investigators that care for their animals, it’s a team of technicians who perform the daily duties and they are well trained and compassionate people. They certainly show more compassion for their animals than the animal rights people do for them. But I guess it’s just easier for you to think of us as monsters. It requires less thought on your part. I find your response very patronising, and you are making a number of assumptions about my thoughts. How would you feel if your eyes were sewn shut? You have absolutely no idea what goes on in the day of a rescue centre and why, this is plain to see. Peta kill over 80% and cats that they pick up, are you really trying to claim that there are valid health reasons for this? Even PeTA know that excuse won’t fly. As the comments above explain, your daughter has already benefited from animal research if she has had eye patch therapy for amblyopia, as insights from animal research led to recent improvements in the techniques used for this treatment. If you dig a bit more you will see that the majority of animals that PeTA take in are suffering from various illnesses/aggressions problems. PeTA take them in when no other Rescue will as they are virtually unadoptable because of the condition they are in. This accounts for the high euthanasia rate. So you see this report has been misrepresented in such a way so that all people see is that PeTA euthanise many animals, and dont see that it is actually due to untreatable issues which make the adoptability of the animal virtually non existant. Unlike lazy scientists who make the animal unadoptable because of what is done to them. Ninety-two per cent of new drugs fail in clinical trials – after they have passed tests on animals. An animal dies in a European laboratory every three seconds all in the name of research…. There is something wrong with people who think this is an acceptable trade off…. I have little time for Berman and CCF, but they didn’t invent the data showing that PeTA kills the vast majority of animals that end up at it’s “shelters”, including the healthy ones. The information comes from public records that PeTA is obliged to file on its shelters, for example the statistics mentioned in this recent story. The comments regarding PeTA and chickens are irrelevant, which you are using to try and blind side people in to agreeing that experiments on animals are a necessary part of research. Aston University’s Professor Anderson stated in a 2006 review paper that: “many technical and analytical advances made within the field of neuroimaging are beginning to pay dividends for the study of human amblyopia”. He also emphasised that previous animal studies do not correlate with newer human studies. – If you and the other person on this page who quoted PeTA as killing cats knew anything at all about cats/dogs who are picked up/looked after by rescue centers each year, you would know automatically that there would be valid health reasons for these animals being euthanised. To dress it up as anything else is completely despicable on your part. We have no right at all to be using animals in such a cavalier/disposal way to benefit us. My daughter has amblyopia, and I will not knowingly allow her to recieve treatment which is as a result of lazy cruel experiments carried out by lazy compassionless scientists. You are simply abhorent…. Did you ever actually read it? I’m asking because having read it I can find no evidence that “He also emphasised that previous animal studies do not correlate with newer human studies”, in fact rather the opposit. The review – which naturally focuses on human neuroimaging but also mentions some animal studies – makes it very clear that the results for the more revent neuroimaging studies in humans are in agreement with earlier animal studies. The studies that didn’t correlate with the newer human studies were earlier post-mortem human studies and early human fMRI studies. So I’m wondering if you are lying, or simple repeating somebody elses lies because you assumed they must be true. If you do not allow your daughter to receive proper medical treatment because therapies were developed through animal research I’d say that qualifies as child abuse. Is she vaccinated? Full disclaimer upfront: I was trained as an electrophysiologist, albeit not using vertebrates. I felt the need to address the particularly pernicious myth that all scientists are in favour of animal testing. I read your argument, and I’ve read the original paper. The key finding here appears to be one that was already known in mice. Ultimately, this series of experiments was completely unnecessary. It is no myth — according to a Nature poll about 92% of scientist approve of animal research (http://www.nature.com/news/2011/110223/full/470452a.html). (Incidentally, research and testing are rather different things.) Now, before discussing the value of any one piece of research I need to understand your own position. Is your view that research is justified only if directly produces a benefit? And how exactly do you determine with certainty which line of research will produce those benefits? Can you give me an example of research in primates or cats that you would approve of? Lastly, if you are appalled by this research I assume you that you are equally appalled by the 1500 cats that PeTA kills each year? Or by the tends of billions of chickens that people eat each year? Thanks for sharing your story. Indeed, early screening and treatment is critical. That’s why I volunteer, along with my colleagues, to go around schools screening children for visual disorders (http://www.jsei.org/about/about_comm_eyeclinic.htm). Of course, none of this matters to animal rights extremists that prefer to scream insults and firebomb our homes and cars. It is estimated that 1 in 10 babies have a major visual issue that is often undiagnosed until strabismus (crossed or wandering eyes) sets in. By this time damage has already occurred and you must work very hard to reverse it. When I was a graduate student I was taught that the “critical period” is in the first six years of life. It was only when my daughter was born with cataracts that I learned that there are in fact multiple critical periods, one soon after birth. She underwent two surgeries immediately. She now has average vision with glasses. It is research like that has provided such a positive outcome for my daughter. Without it, it is likely that she would have less than 1% normal vision (legal blindness being acuity approximately 10% of normal). My husband, who has the same condition, was not so lucky. His surgeries were later and he is legally blind. While he enjoys life and has a career there are many limitations to what he can do. He is under constant threat of losing that 10% of vision that we all take for granted. It is very easy for someone to take a high moral stance when the issue doesn’t personally affect them, but when you are looking at a newborn who would be lucky to distinguish bright or dark shadows, you know that the morality of the issue extends to her as well. For those who are unaware, there is a program for early screening and intervention in infants. It points you to a qualified health care professional in your area who can properly examine an infant, regardless of income or insurance. Unfortunately most pediatricians and family care doctors do not have the training and equipment necessary to observe much less diagnose these issues, leading to what is commonly described as a “hidden” epidemic in our children. Most of these conditions are easily treated if caught early. I’d further add that a total of 30 animals were used in this study. This is about 2% of the total number of cats killed by PeTA every single year (http://www.petakillsanimals.com/downloads/PetaKillsAnimals.pdf). Why isn’t BUAV protesting PeTA? Let me extend, even further, the importance of discoveries made using this approach. As mentioned in the post, there are molecules, expressed by brain cells, that trigger the opening of the critical period (these molecules support the potential of brain networks for change) and yet another that close the period (and end the potential for change). Basically, the critical period ends when the brain cells are surrounded by a carbohydrate peri neuronal scaffolding that stops any further change. These molecules were discovered by Sue Hockfield – former President of MIT – through study of the critical period in animal models. Flash forward – we now know that these nets prevent plasticity in many systems, including in the spinal cord. After a brain or spinal cord injury, one of the major factors that limits recovery is that these perineuronal nets inhibit new neural growth… Fortunately, also thanks to animal research, we now know how to disrupt and dissolve these plasticity inhibiting nets. After spinal cord injury, they can be disrupted, the effect of which is superior recovery. We know all of this because of initial studies of the critical period. In this way, the visual system has taught us crucial concepts that apply to the entire nervous system and inform strategies for recovery from brain injury. The work by Hubel and Wiesel is mentioned in the BrainFacts link… but an explicit mention was indeed needed. Thanks for the addition.